Find the best per diem nursing job right here in Mississippi. GIFTED finds PRN opportunities in Mississippi that meet your needs. Nurse owned and operated, our company matches you with the best healthcare facilities. Job opportunities are tailored to meet your needs. Why Choose Per Diem Nursing Jobs in Mississippi? Per Diem nursing gives you the freedom and flexibility to work on your own schedule. You earn full-time benefits working just part-time hours. These unmatched perks are available to nurses who want accommodating shifts in a variety of healthcare settings. 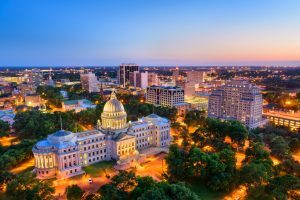 At GIFTED, we are currently staffing PRN nursing shifts in cities across north and south Mississippi including Jackson, Meridian, and Hattiesburg. GIFTED Healthcare puts you first by offering many opportunities in per diem nurse staffing. We supply what you want when you want it. We’re committed to keeping talented nurses at the bedside. Spend fewer time jobs searching and more time doing what you love. The flexibility our company offers meets the needs of PRN nurses across the country. We find top quality PRN nurses in Mississippi and provide opportunities at clinics, hospitals, doctor’s offices, and long-term acute care (LTAC) facilities. We fill both short and long-term contracts. Per Diem work means high quality, interesting job options, and often higher hourly pay. Mississippi is the heart and soul of the Gulf Coast South. The birthplace of American music, the arts scene around the state is a driving force in rock, blues, jazz, country, gospel, and beyond. Food and drink are at the core of Mississippi culture and history. Sip sweet tea or sample Delta-style hot tamales at family-owned restaurants with farm-to-table menus. Appreciate the great outdoors with Mississippi’s pleasant temperate climate and wealth of waterways and wilderness. Ready to experience Per Diem Nursing with GIFTED in Mississippi?